We are delighted to be featured in the July MTI Magazine discussing the benefits of the Waterjet Cutting Machine. 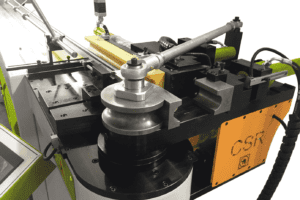 Selmach Machinery as part of the UK Machinery Group have been awarded the sole agency from CMS Technocut SpA, who specialise in the production of waterjet cutting systems in the UK. With over two thousand machines installed worldwide, CMS are highly efficient and well respected within the waterjet industry. The Italian CMS Waterjet systems are capable of cutting a wide variety of materials using a very high pressure jet of water, or a mixture of water and an abrasive substance to create a cutting stream which can cut almost any shape and thickness. With three models within the range we are able to find a machining solution to suit many engineering and fabrication requirements. 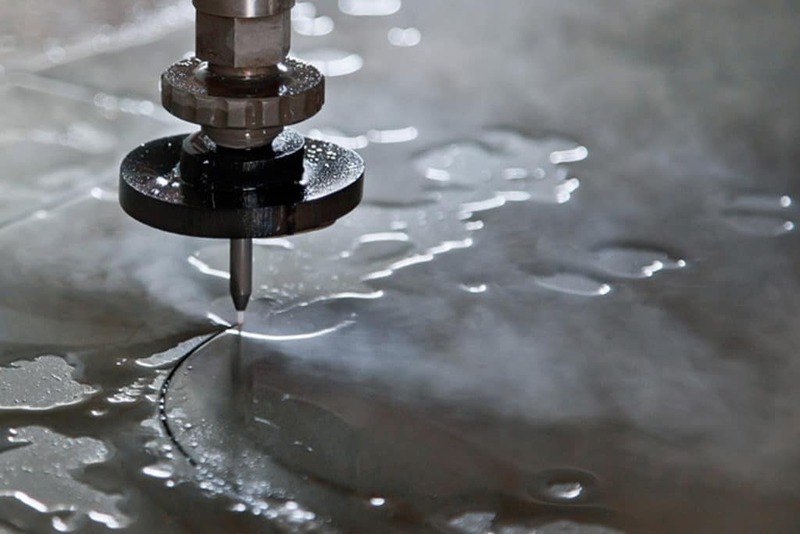 Waterjet cutting is one of the fastest growing profiling applications and now globally is the preferred method for cutting materials that are sensitive to high temperatures generated by other methods such as laser and plasma systems. With an array of applications this machine can cut irregular shapes from almost any material with exceptional precision and edge quality. Curves, straight cuts, internal holes and lettering once cut by hand can now be cut in a fraction of the time by waterjet. The edge quality it produces is smooth with a uniformed burr-free edge. The Easyline model is the entry level machine offering accurate and cost effective waterjet cutting system. This popular cantilever design allows easy access during production from the three open sides and portable control console. While the Milestone waterjet offers customers an easy to use machine with a gantry structure with increased accuracy for harder and thicker materials. For those that need to manufacture at a larger capacity, the Idroline S range of hydro-abrasive waterjet cutting system is an elite bridge design which ensures superior technological and productive performance. Features include dredge system and automatic side closures to ensure minimal splash exposure. One of the key advantages of investing in the Italian CMS waterjet is that the company manufactures the complete package from the machine structure, pump, controls and software ensuring quality at each step. With cutting accuracy of ±0.1 to ±0.2mm (accuracy varies between machines), the waterjet is an extremely versatile cutting tool which is why it is used globally in many industries for intricate designs and jobs which require high tolerances. 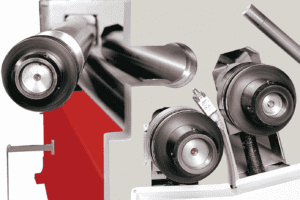 Improve your operating efficiency and profitability by cutting all your materials on one machine. The waterjet uses the same tool for cutting all types of product there is no need to change cutting tools when switching to another product. Simply adjust the feed rate to the appropriate speed to match the type and thickness of material. In simple terms, if you can’t cut it with a waterjet you can’t cut it at all! 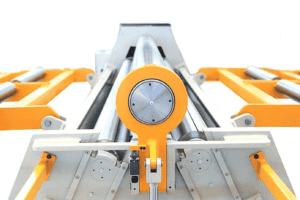 All of our models have a wide range of table beds and options such as the 5 axis cutting head, drilling attachments, anti collision and higher pressure pumps. If you want to see this machine in action – why not come to our showroom? Our showroom is open for live demonstrations. Please contact our sales desk to arrange a visit on 01432 346580.